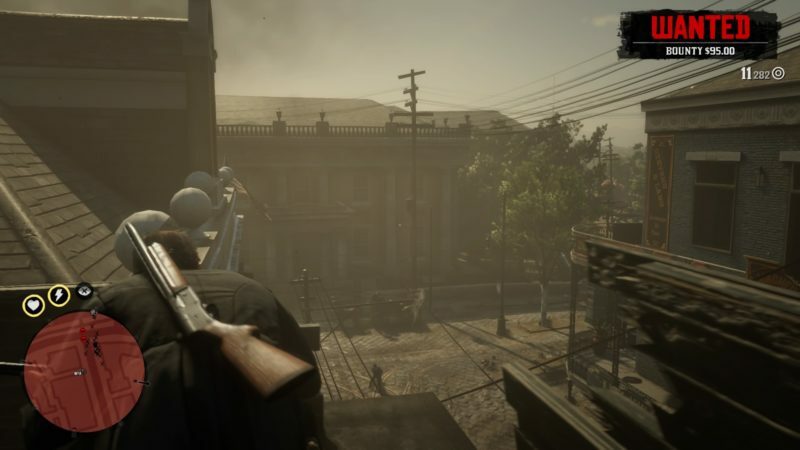 Banking, The Old American Art is a mission in Red Dead Redemption 2 which involves the whole gang. 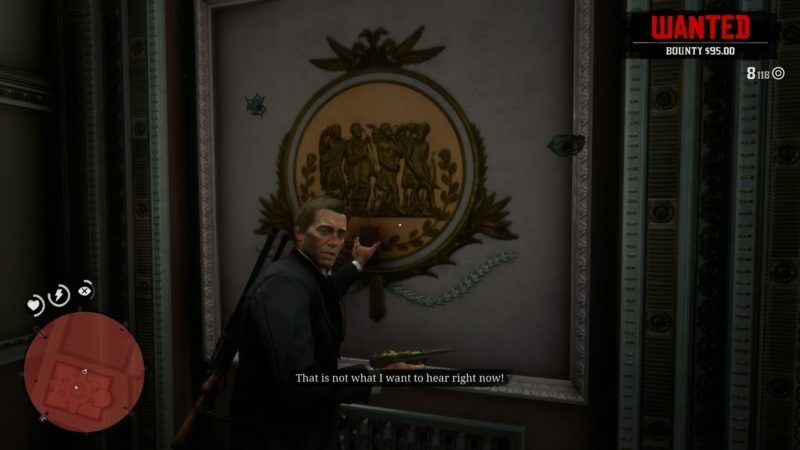 Your role is to follow Dutch and the boys rob the city bank after Angelo Bronte’s death. 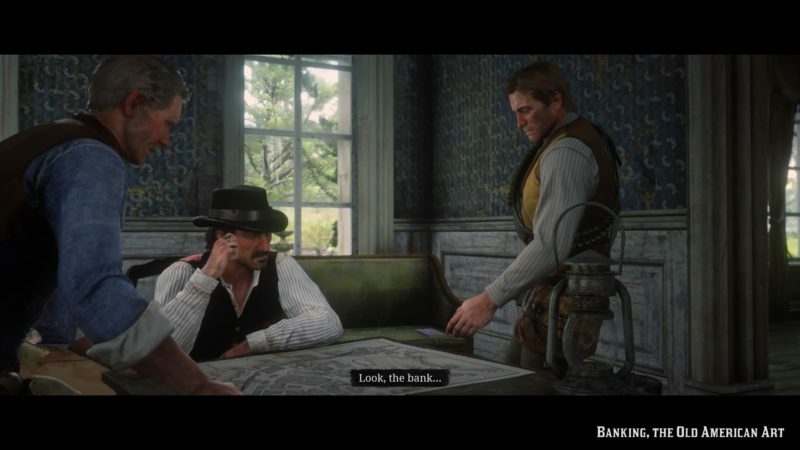 Here’s a walkthrough of Banking, The Old American Art in RDR 2. 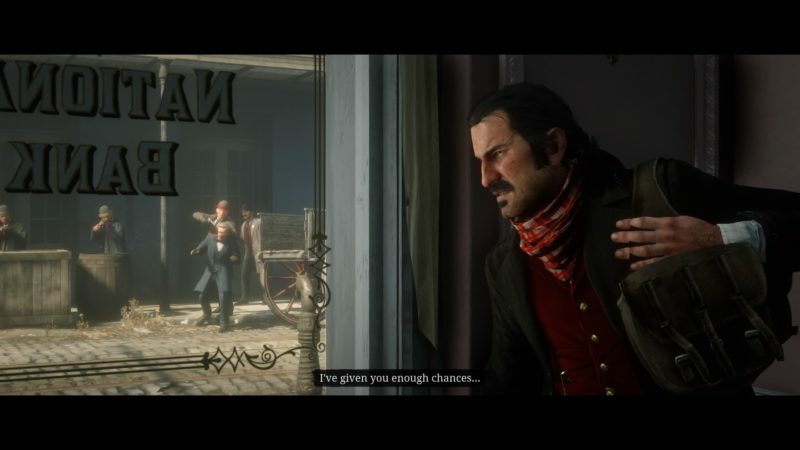 To start the mission, talk to Dutch in camp at Shady Belle. 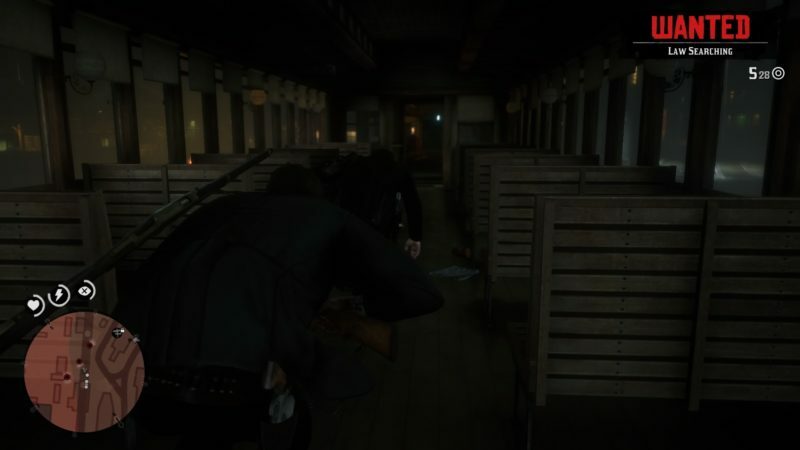 The first objective is to follow the boys to the city bank. 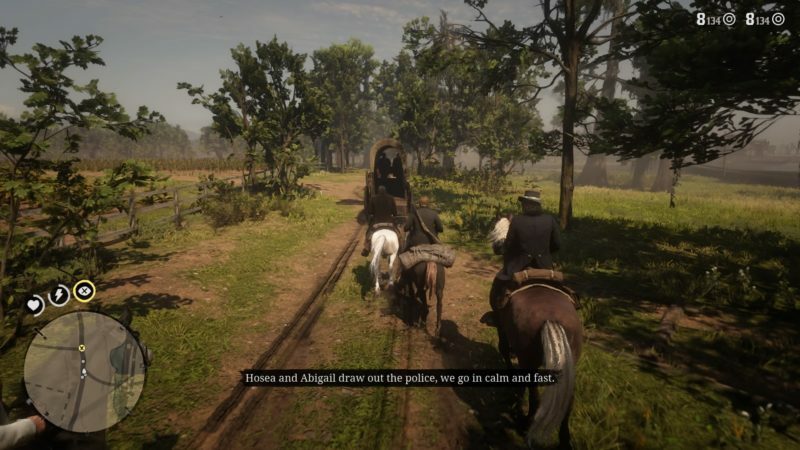 Hosea and Abigail will take the wagon and cause a distraction elsewhere. The rest will go to the bank directly. Hitch your horse there. 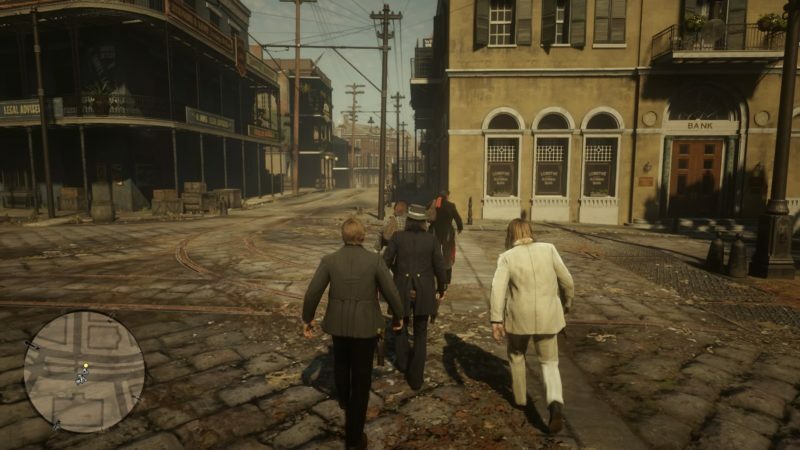 Walk to the bank and the gang will start robbing the bank. 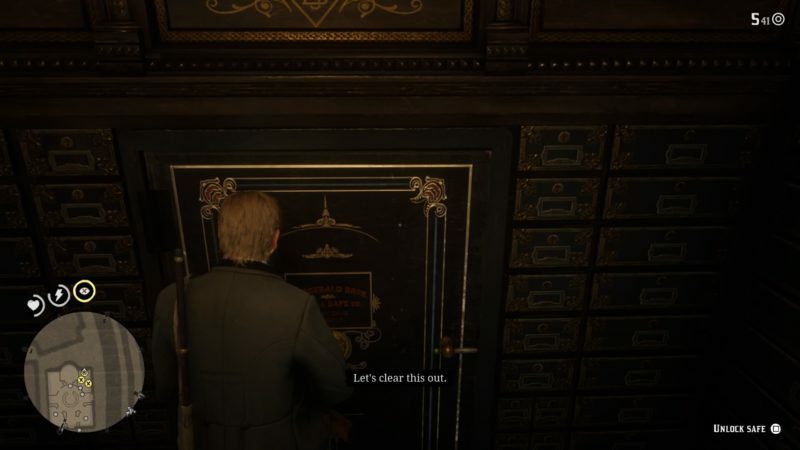 Get the bank manager to open the bank vault. You can beat him up to fasten the process. 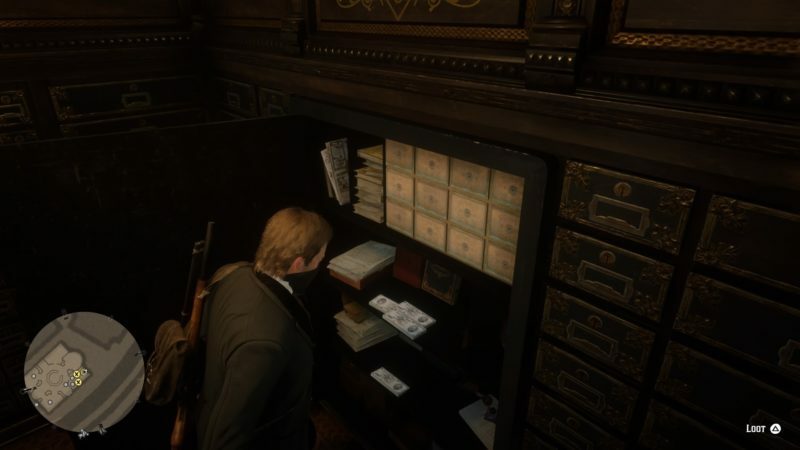 Unlock the safe like you did in a previous robbery. Move your L3 counter-clockwise and clockwise depending on the number. 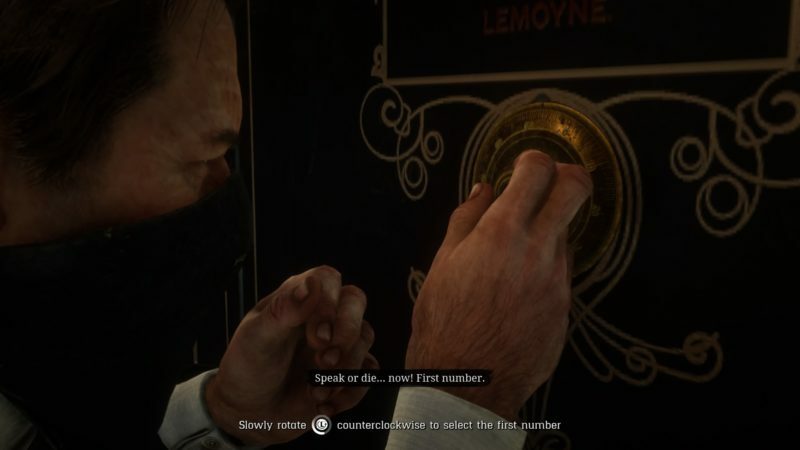 You just need 3 numbers to unlock the safe. Once unlocked, collect the loot. 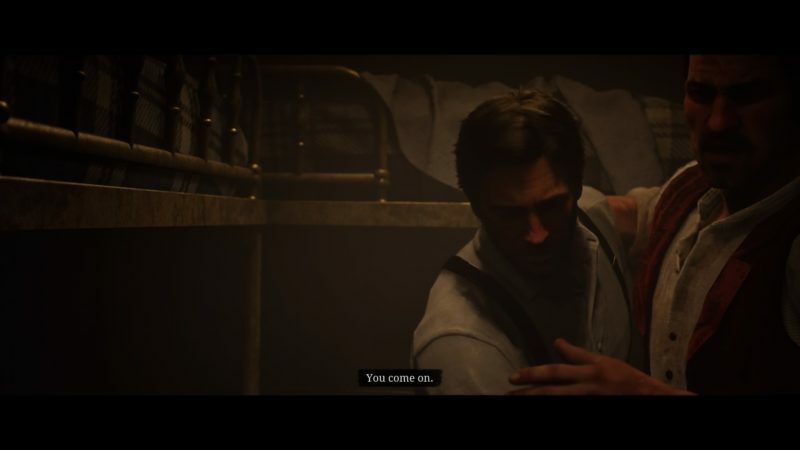 This is when the Pinkertons will arrive, with Hosea as captive. 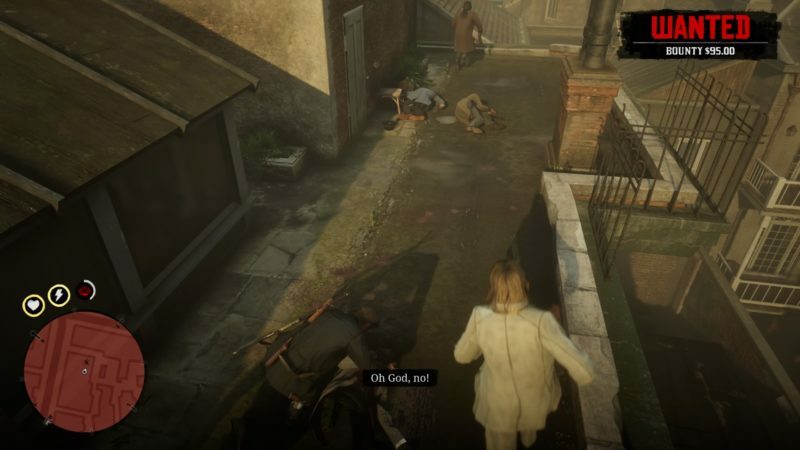 It’s also the part where Hosea dies. 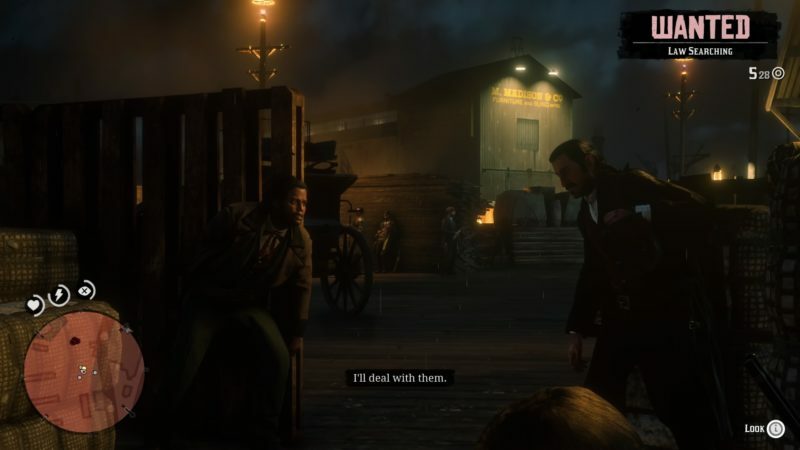 Apparently John Marston was also captured by them. 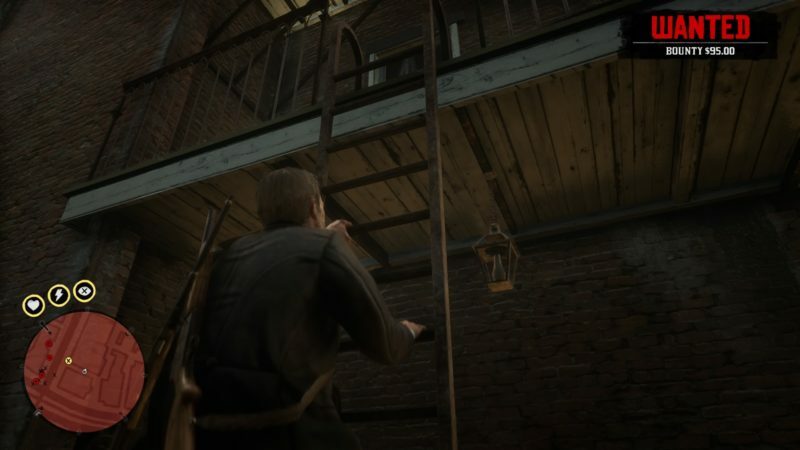 You guys will all start opening fire against the lawmen. Shoot as many as you can. 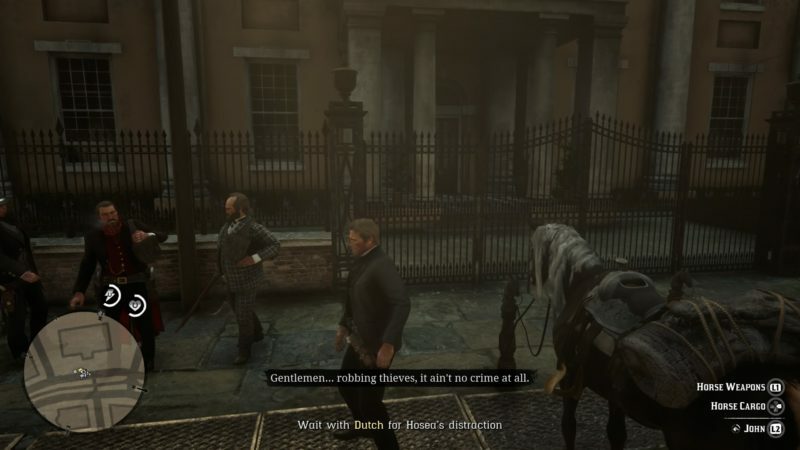 After awhile, Dutch will ask to escape through a different route as there are too many lawmen. 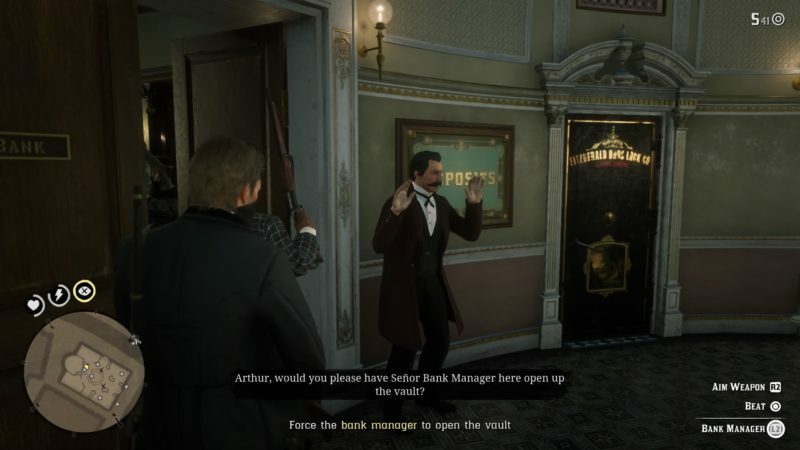 At the side of the bank, you have to put a dynamite to blow open a hole. 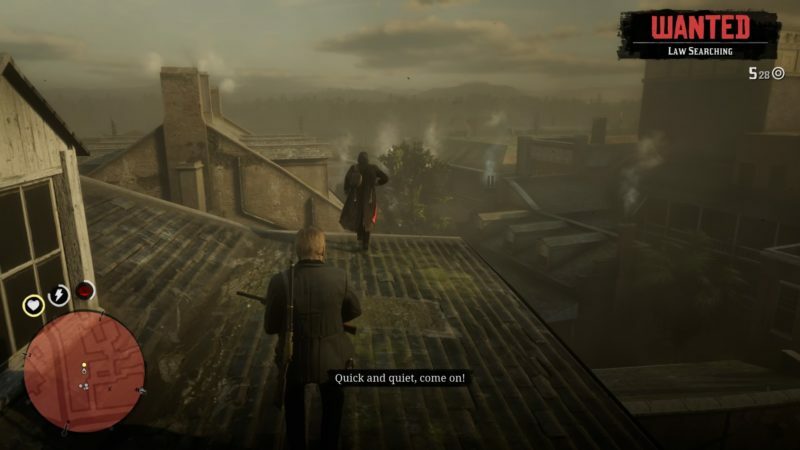 Once you’re out, climb up the stairs to go to the roof. Get up to the uppermost area. 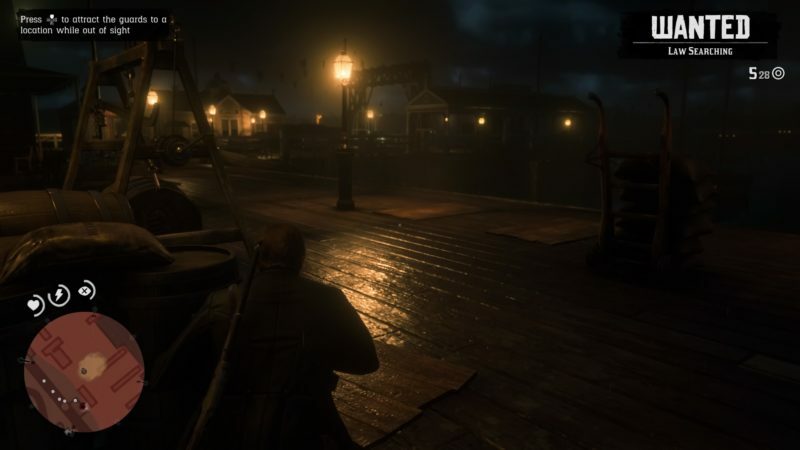 Help your gang by shooting at the lawmen all around the place. 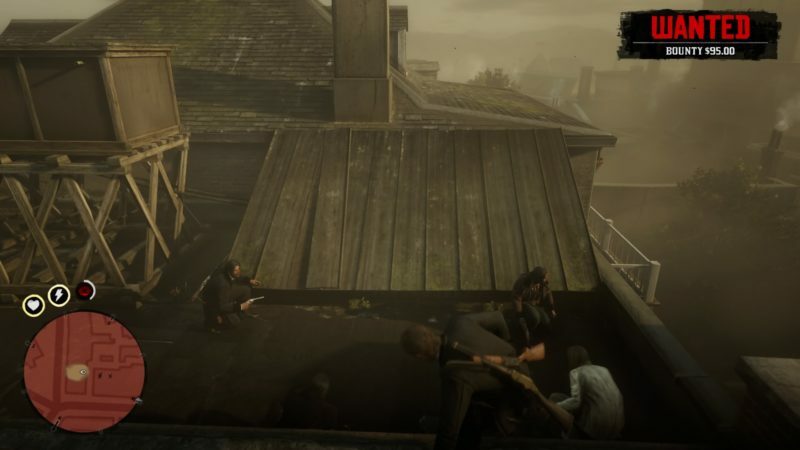 The gang will all come up the roof to join you. 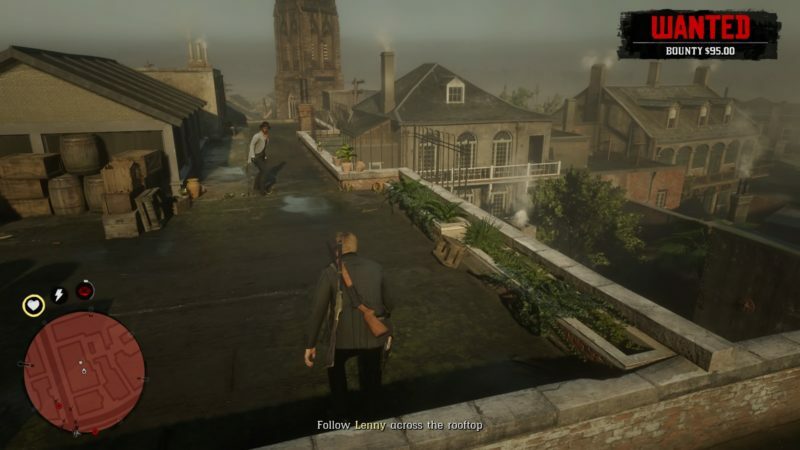 Now, you have to escape the area, running on the rooftops. 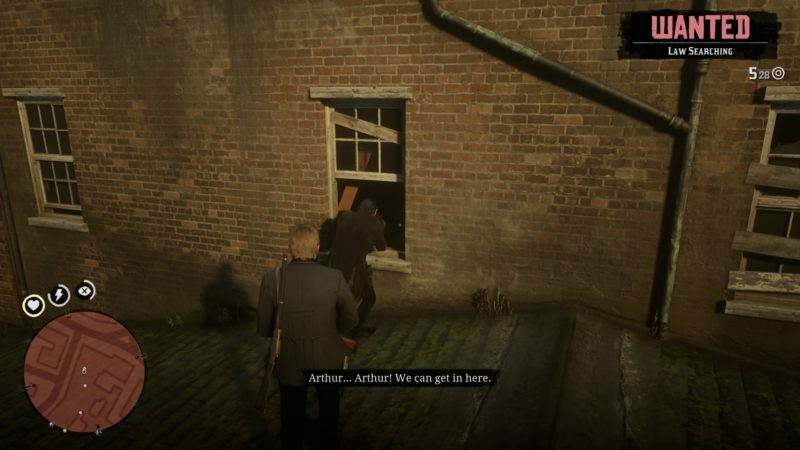 Lenny will get killed by some men who barged out from the door. 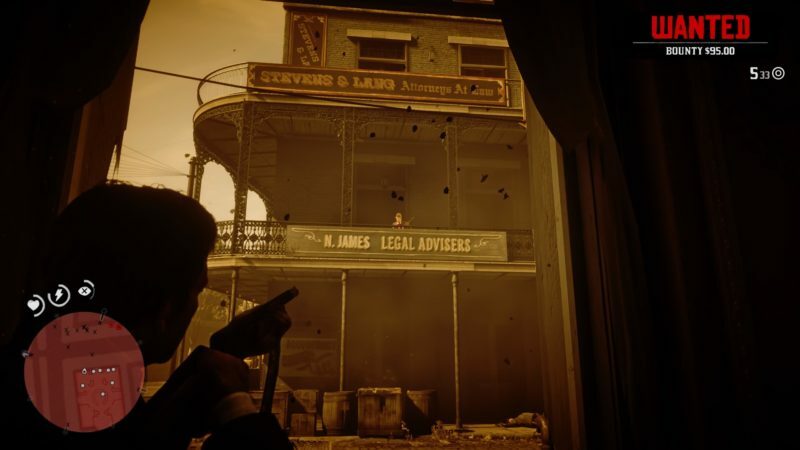 Kill all of the lawmen. 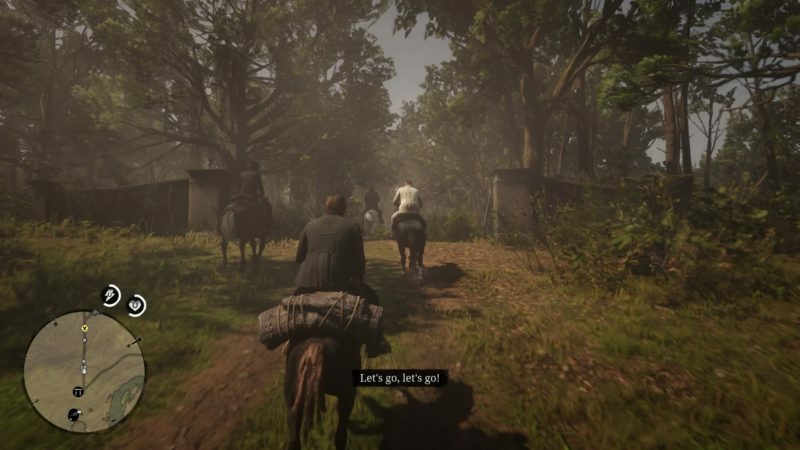 Follow Dutch to continue escaping. 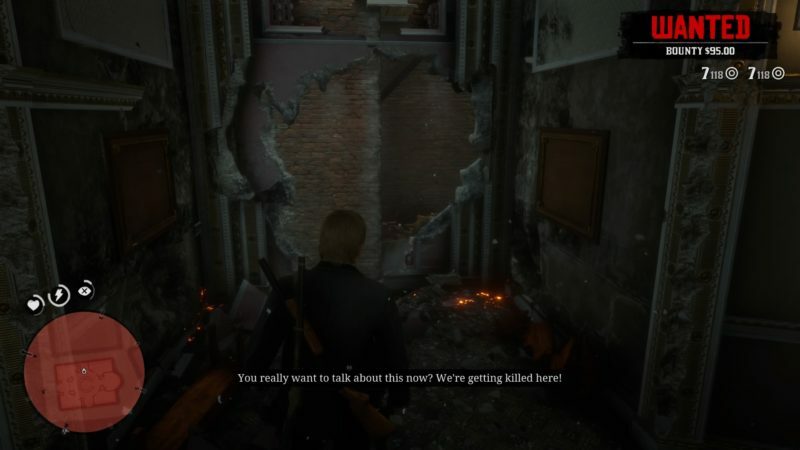 You guys will then find an abandoned house and rest until nightfall. 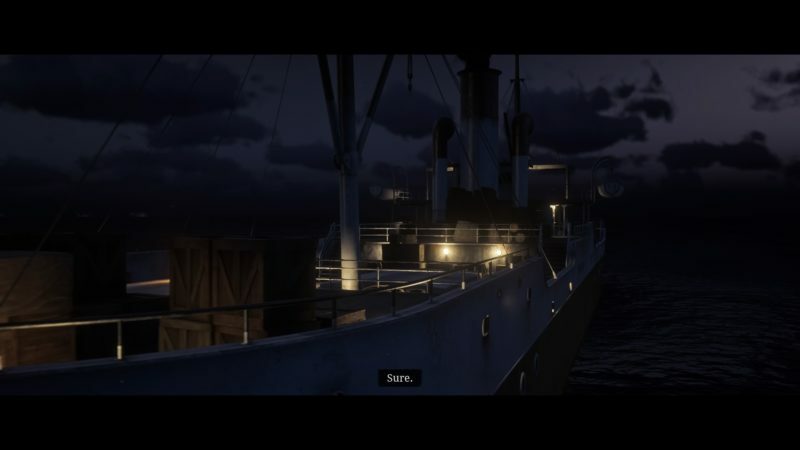 During the cutscene, Dutch will propose escaping on a ship. 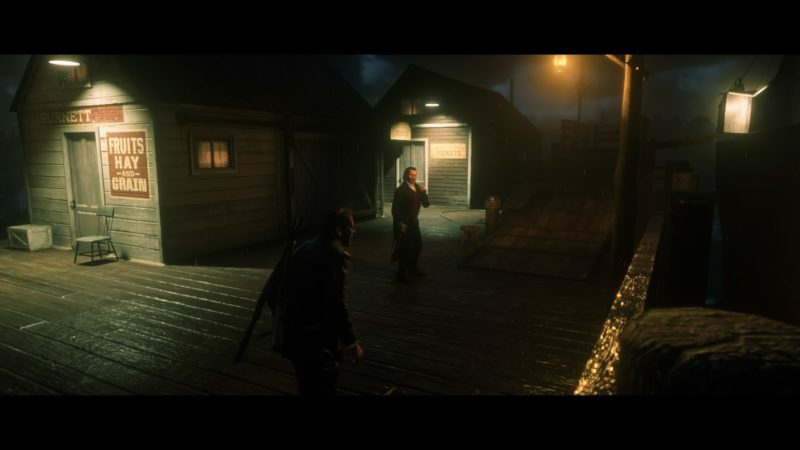 When it’s night time, follow Dutch and the boys to the dock. 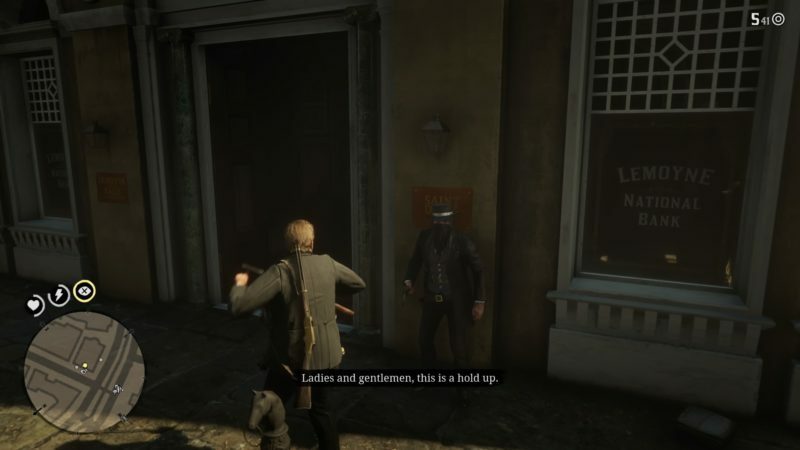 There are plenty of lawmen all around. 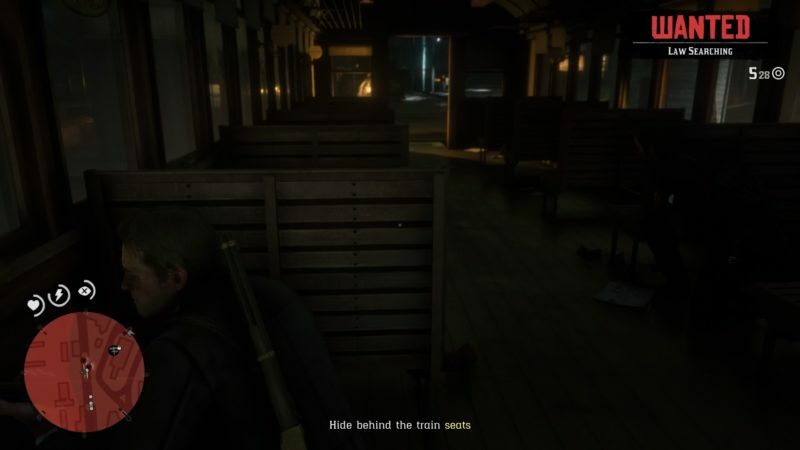 You will follow Dutch to the train and hide there. 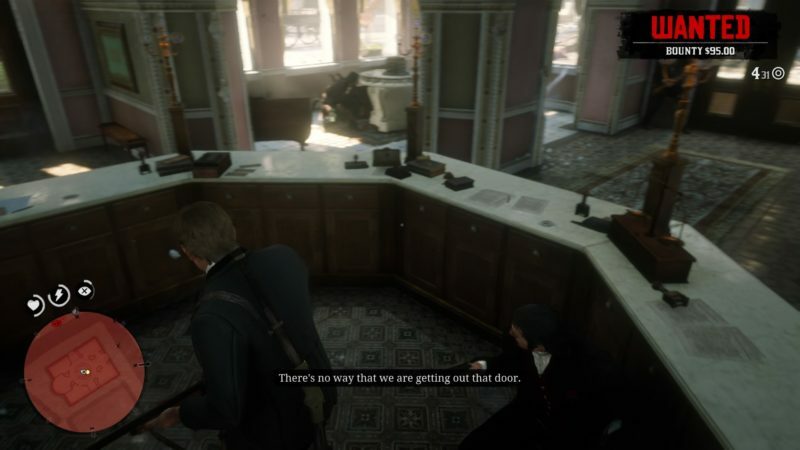 If the lawmen come in, hide behind the chairs. Keep going and there’ll be more men. Get to the yellow area on the radar and press the UP button to whistle and distract the men. Leave the area as they’re walking towards you. 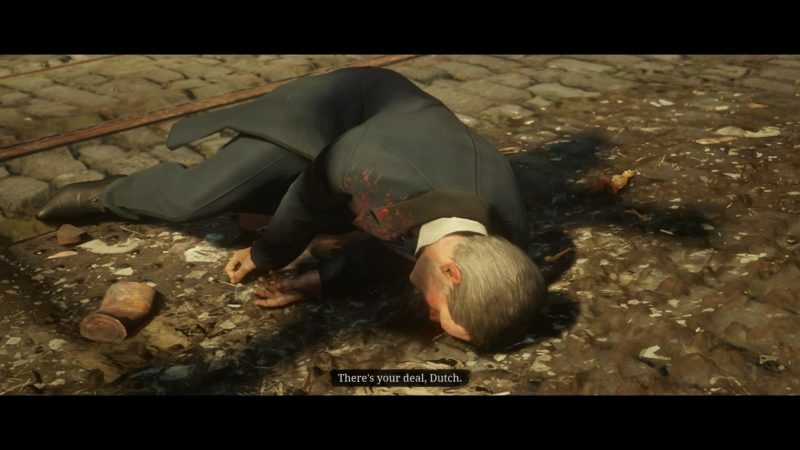 Get back to Dutch undetected. 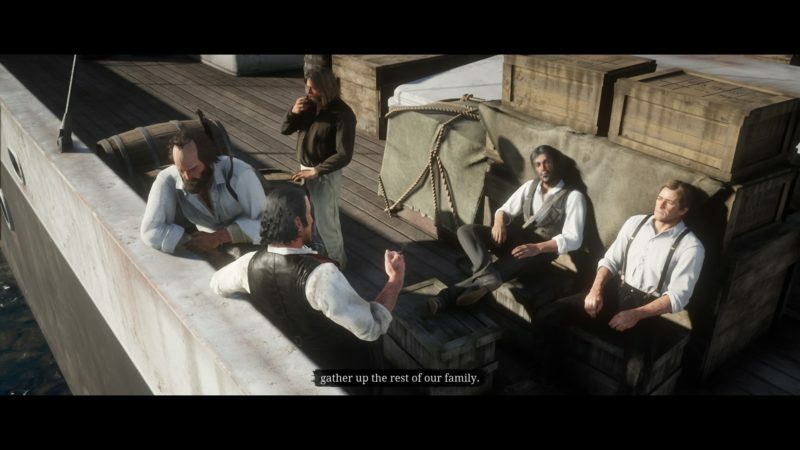 At one point there’ll be some men at the dock. 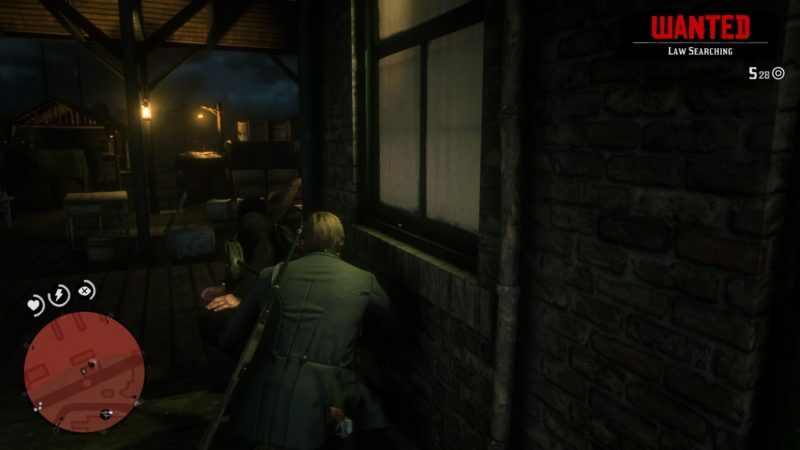 Charles will then distract them to give you guys the opportunity of escaping. 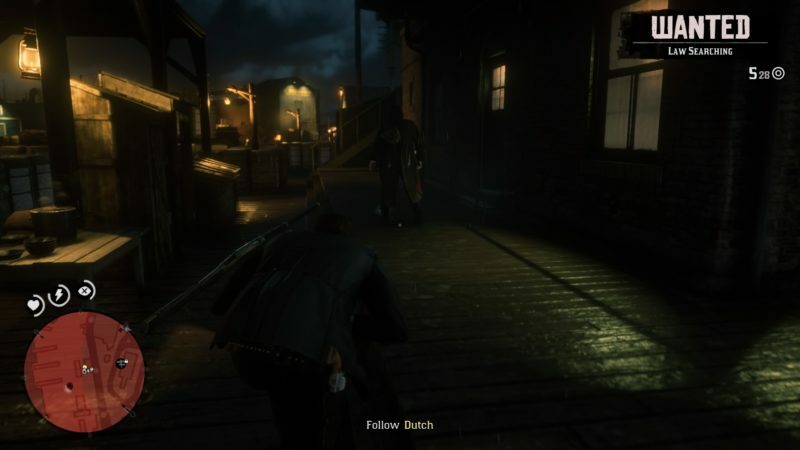 Follow Dutch and go onto the ship. 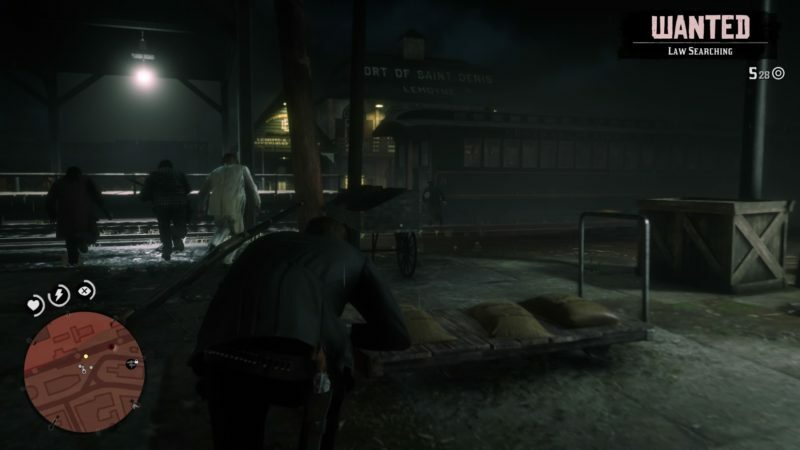 And the mission ends here. 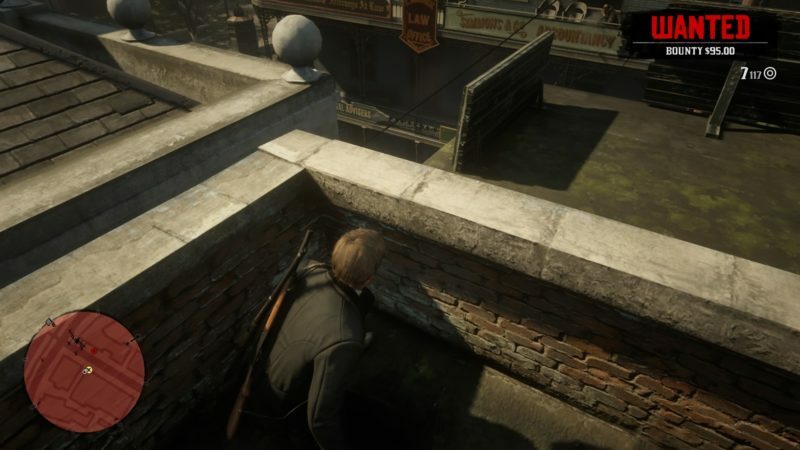 There aren’t any objectives for this mission. The scene ends with a storm and you guys will be stranded on an island. Hopefully this walkthrough has been helpful.